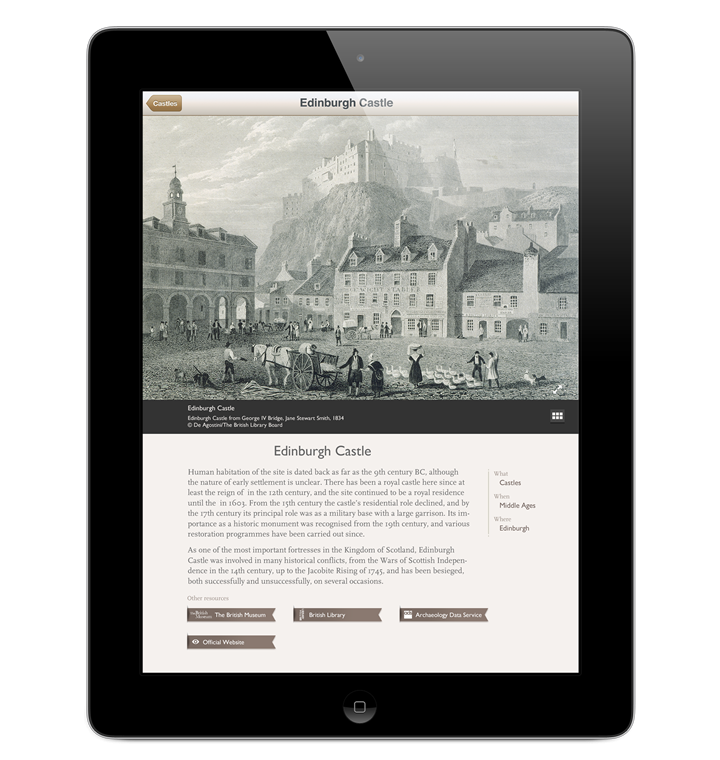 ArchBrit is a free iPad app produced by The British Library. 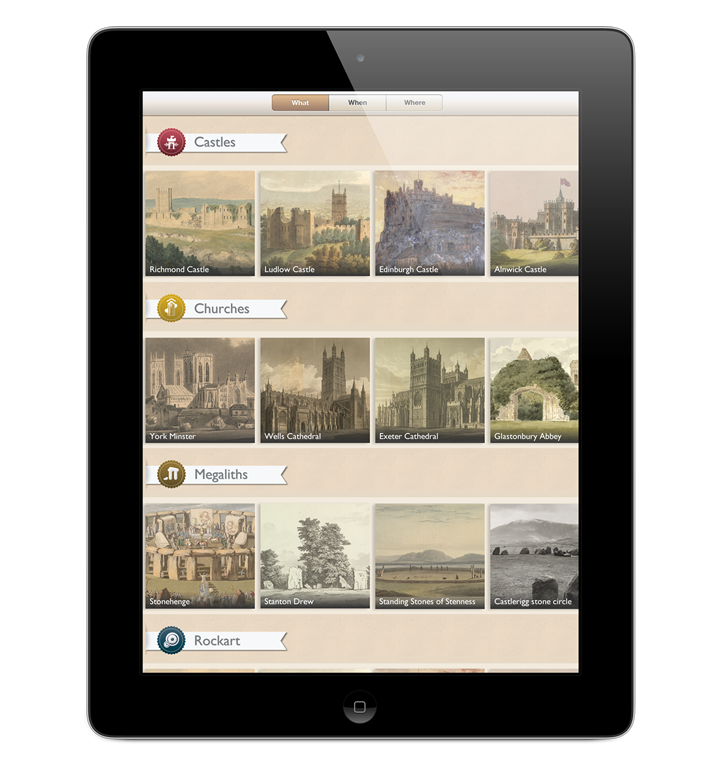 The app presents the archaeology of some of Britain's most important sites in an accessible manner, combining interesting content held by the British Library with contextual records from Archaeology Data Service (ADS) to construct unique visions of some of Britain's favourite archaeological sites. Keepthinking designed the user interface, the icon and the accompanying website in collaboration with The British Library. Every archeological site has its own page with detailed information, image gallery and link to external resources. 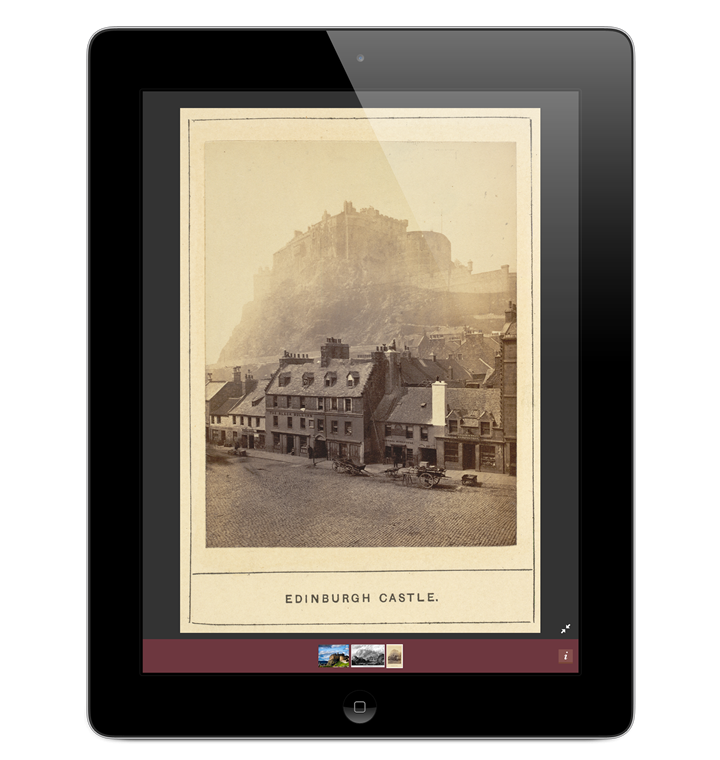 The main purpose of the app is bring out and make accessible incredible archival resources that are typically hidden from public view. 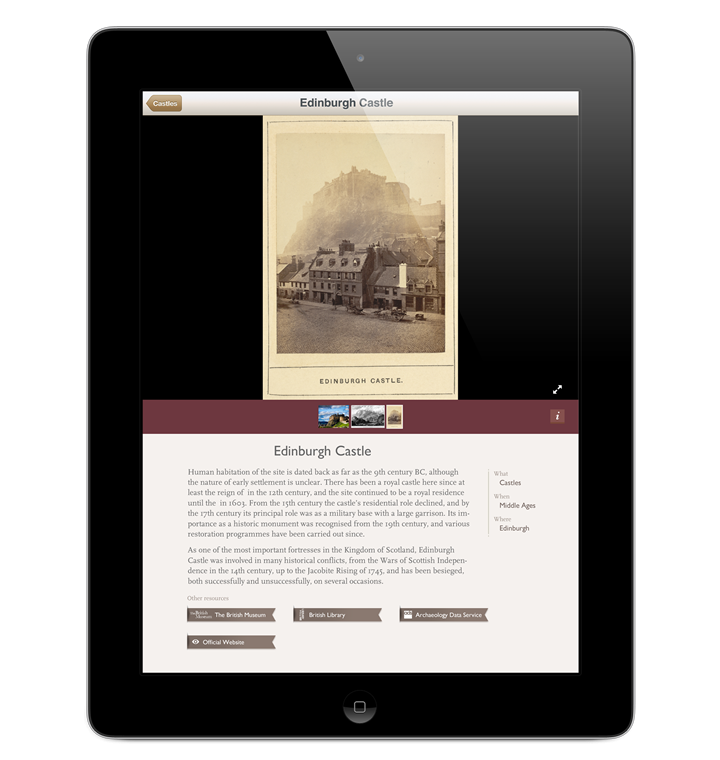 Each site is presented with a description and one or more images, including documents, photographs and maps. High-quality images Images can be enlarged and zoomed.